Erica Dankmeyer is a dancer and choreographer specializing in Modern and Contemporary dance. She earned her BA in Art History at Williams College and studied on scholarship in the Professional Trainee Program at the Martha Graham School of Contemporary Dance. As a Soloist with the Martha Graham Dance Company (1996-2006), she performed extensively in the U.S and abroad in a wide array of Graham masterworks. She has served as régisseur of Martha Graham’s Steps in the Street. Dankmeyer is the Artistic Director of Dankmeyer Dance Company, a collective founded to explore the creation and performance of new work, often in collaboration with live music. DDC presented two seasons at NYC’s Dancespace Project and has performed at Jacob’s Pillow Inside/Out and beyond. Dankmeyer is also a founding member of 360º Dance Company, a company dedicated to reviving modern dance masterworks by choreographers such as Jane Dudley and Mary Anthony, and to performing vibrant, contemporary commissions. The company debuted in Oslo, Norway and performs annually in New York. 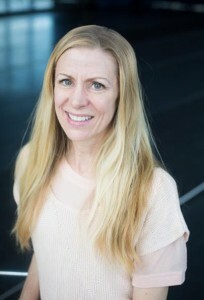 Ms. Dankmeyer is a faculty member of the Martha Graham Center of Contemporary Dance in New York City and has also taught Movement for Actors at the Neighborhood Playhouse School for the Performing Arts. She has been Artist-in-Residence at Jacksonville University in Jacksonville, Florida and at Williams College. She choreographed 5 works for the Williams College Dance Company prior to re-envisioning the company and founding CoDa (Contemporary Dance Ensemble), for which she is Artistic Director. At Williams, she teaches Fundamentals of Dance, Prelude and Revolt (the life and work of Martha Graham), Modern Masterworks, and Movement for Actors.